Eurokids Thane Manpada is the right place to develop the 21st Century Skills necessary for your child’s success. To impart quality education to the toddlers, Eurokids Manpada offers appropriate curriculum focused on developing Executive Functional Skills that helps children learn, play and engage in a fun based environment. With a unique curriculum and special learning initiatives like S.P.E.A.K, Motion Based Learning, Learn2Play, EuroGym and EuroMusic, it makes pre-schooling a fun and engaging for children. At EuroKids Thane Manpada, we work towards exploring the innate potential of each child believing each child to be unique. Our goal is to stimulate the curiosity, guide them to explore, help them to acquire skills and instill the joy of learning which would set the tone for the rest of their lives. Our programs incorporate an integrated curriculum that promotes learning primarily through music, art, drama, dance, projects, discover centers, computer activities, field trips, outdoor play and adventure. 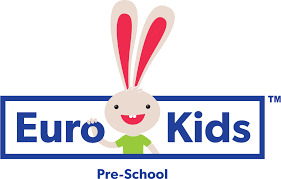 EuroKids International, with its innovative approach, has set up a many preschools, playschools and kindergarten programs across India to work towards the development of kids.